BOSTON, MA and MONTEVIDEO, URUGUAY, August 22, 2017 – Advent International, one of the largest and most experienced global private equity investors, today announced that its portfolio company, Grupo Biotoscana (“GBT”), a leading specialty pharmaceutical company in Latin America, priced its initial public offering on July 25, 2017 at R$26.50 per share, generating gross proceeds of US$375.2 million. The Company is listed on Brazil’s B3 Exchange under the trading symbol “GBIO33”. Advent has retained a significant equity stake in GBT and will maintain a presence on the Company’s Board of Directors. GBT is one of the few Latin American integrated pharmaceutical companies engaged primarily in the development, manufacturing and commercialization of branded specialty pharmaceutical products throughout the region. GBT has an established presence in all major Latin American markets, with operations in Brazil, Argentina, Colombia, Bolivia, Chile, Ecuador, Mexico, Paraguay, Peru and Uruguay. “Through a six-year transformation process that began with the acquisition of Biotoscana in Colombia in 2011, we have successfully grown GBT through the strategic acquisition and integration of three strong, complementary businesses: Biotoscana, United Medical and Laboratorio LKM. We are proud to have supported GBT as it became the first Latin American specialty pharmaceutical company with a truly pan-regional presence, and we look forward to continued success in the future,” said Mauricio Salgar, Managing Director in Advent’s Bogotá office. 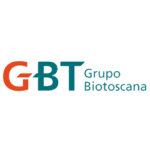 Grupo Biotoscana (GBT) is a biopharmaceutical group that operates in the fast-growing Latin American region and focuses on rapidly growing market segments such as infectious diseases, oncology and onco-hematology, special treatments, immunology and inflammation and orphan/rare diseases, among others. GBT is currently present throughout 10 Latin American countries where it operates under its companies Biotoscana, United Medical and LKM. GBT‘s strong portfolio combines world-class licenses and proprietary products. Founded in 1984, Advent International is one of the largest and most experienced global private equity investors. The firm has invested in over 325 private equity transactions in 41 countries and as of March 31, 2017, it had $39 billion in assets under management. With offices on four continents, Advent has established a globally integrated team of 190 investment professionals across North America, Europe, Latin America and Asia. The firm focuses on investments in five core sectors, including business and financial services; healthcare; industrial; retail, consumer and leisure; and technology, media and telecom. After more than 30 years dedicated to international investing, Advent remains committed to partnering with management teams to deliver sustained revenue and earnings growth for its portfolio companies.